We know how the story goes; you have a great idea for that party you're planning, or the small business you're running or the DIY project you have been planning, and in all your excitement you rush over to StickerYou.com (great choice for custom sticker products, by the way) and set your order up, then you get to the materials selection and...you're stumped. 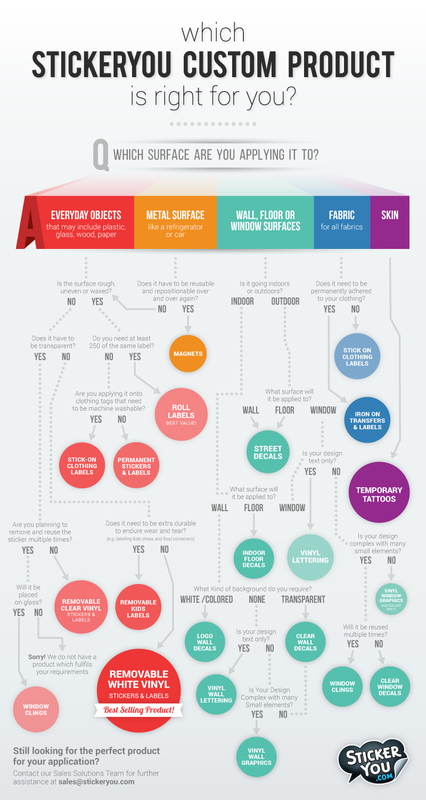 You know exactly what you want your custom product to do, but you're not sure which material will give the right outcome. 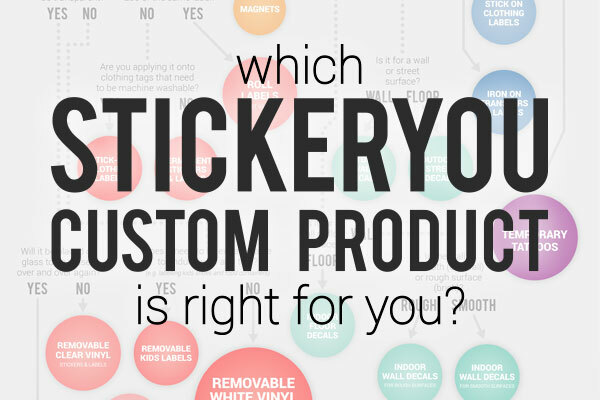 We understand that you don't want to waste your time or money ordering a product from StickerYou that isn't going to fit your needs, so we created this chart to help you determine which material is best for your custom stickers, labels, or wall and floor decals. As always, if the chart isn't clear, or you still have questions about our product's features or benefits, please feel free to contact [email protected] They will provide all the information you need to make the proper product choice.